The 'Battle' of Cajamarca was the unexpected ambush and seizure of the Inca ruler Atahualpa by a small Spanish force led by Francisco Pizarro, on November 16, 1532. The Spanish killed thousands of Atahualpa's counsellors, commanders and unarmed attendants in the great plaza of Cajamarca, and caused his armed host outside the town to flee. The capture of Atahualpa marked the opening stage of the conquest of the pre-Columbian Inca civilization of Peru. The confrontation at Cajamarca was the culmination of a months-long struggle involving espionage, subterfuge, and diplomacy between Pizarro and the Inca via their respective envoys. Atahualpa had received the invaders from a position of immense strength. Encamped along the heights of Cajamarca with a large force of battle-tested troops fresh from their victories in the civil war against his half-brother Huascar, the Inca felt they had little to fear from Pizarro's tiny army, however exotic its dress and weaponry. In a calculated show of goodwill, Atahualpa had lured the adventurers deep into the heart of his mountain empire where any potential threat could be isolated and responded to with massive force. Pizarro and his men arrived on Friday November 15, 1532. The town itself had been largely emptied of its two thousand inhabitants, upon the approach of the Spanish force of 150 men, guided by an Inca noble sent by Atahualpa as an envoy. 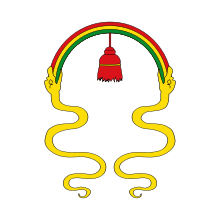 Atahualpa himself was encamped outside Cajamarca, preparing for his march on Cuzco, where his commanders had just captured Huascar and defeated his army. The Spaniards had concealed themselves within the buildings surrounding the empty plaza at the centre of the town. Infantry and horsemen were concealed in the alleyways which opened onto this open square. Spanish infantry were deployed to guard the entrances to a stone building in the centre of the square while men armed with arquebuses and four small cannon took place within it. Pizarro ordered his men to remain silent and hidden until the guns were fired. During the hours of waiting tension rose amongst the greatly outnumbered Spanish and Pedro Pizarro recalls that many of his fellows urinated "out of pure terror". Titu Cusi's only mention of a Bible being presented and then tossed to the ground is restricted to the encounter which took place before the battle, an omission that has been explained as due either to its relative insignificance to the Inca or to confusion between the events of the two days. His account of the battle itself is heavily influenced by Inca mythology and ritual and is not considered a reliable account. ↑ MacQuarrie, Kim (2012). The Last Days of The Incas. p70. : Hachette. ISBN 9781405526074. ↑ Jared Diamond Guns, Germs And Steel, Random House 2013 (p76), states that the Inca personnel were purely Atahualpa's personal attendants and nobles, whereas John Michael Francis (2006, Iberia and the Americas: Culture, Politics, and History: a Multidisciplinary Encyclopedia, v1, Santa Barbara, Ca. ; ABC-CLIO, p322) states that they were "ceremonially armed guards". 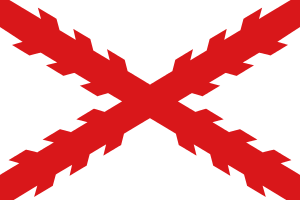 ↑ Most sources state that no Conquistadors were killed, while others state that five or fewer were killed. (Spencer C. Tucker, 2010, Battles That Changed History: An Encyclopedia of World Conflict, Santa Barbara, Ca. ; ABC-CLIO, p172.) Among modern sources stating categorically that no Spaniards were killed are (e.g.) Kim MacQuarrie, The Last Days of The Incas, Hachette publishing 2012, p84. ↑ Hemming, John. The Conquest of the Incas. Penguin Books 1987. p. 31. ↑ Hemming, John. The Conquest of the Incas. Penguin Books 1987. pp. 38–39. 1 2 Hemming, John. The Conquest of the Incas. Penguin Books 1987. p. 38. ↑ Hemming, John. The Conquest of the Incas. Penguin Books 1987. pp. 39–40. ↑ Cook, Alexandra and Noble (1999). Discovery and Conquest of Peru (Translation of book 3 of a 4 book compilation of interviews with Pizarro's men and Indians by Pedro Cieza de León). Duke University Press ISBN 0-8223-2146-7. ↑ Hemming, John. The Conquest of the Incas. Penguin Books 1987. pp. 42–43. ↑ Jared Diamond (17 April 1999). Guns, Germs, and Steel: The Fates of Human Societies. W. W. Norton. pp. 69–. ISBN 978-0-393-06922-8. ↑ Sir Clements Robert Markham (1872). Reports on the Discovery of Peru. Hakluyt Society. pp. 1–. ↑ Works Issued by the Hakluyt Society. The Society. 1872. pp. 1–. ↑ Francisco de Xeres (1872). Reports on the discovery of Peru. i. Report of F. de Xeres, ii. Report of M. de Astete on the expedition to Pachacamac, iii. Letter of H. Pizarro to the royal audience of Santo Domingo, iv. Report of P. Sancho on the partition of the ransom of Atahuallpa. pp. 1–. ↑ Francisco de Xerez; Miguel de Estete; Hernando Pizarro; Pedro Sancho (1970). Works Issued by the Hakluyt Society. The Society. p. 1.